Fletching is the aerodynamic stabilization of arrows or darts with materials such as feathers, plastic vanes or spin wings, each piece of which is referred to as a fletch. A Fletcher is a person who attaches the fletching. Knowing how to fletch ones arrows is an important part of achieving success in target and field archery and it gives the archer the opportunity to build and further customise their arrows to their own specification. 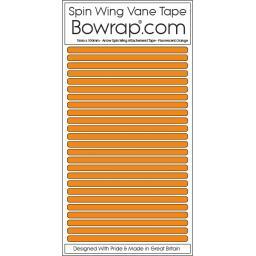 At Bowrap.com we provide a range of Fletching Vanes, Feathers, Spin Wings and Nocks from major manufactures such as Bohning, Easton, Gateway Feathers, Gas Pro & Kurley Vanes. Fletchings are available in an array of colours, shapes and sizes that can be purchased at the same time as your Arrow Wraps, so when you come to build your arrow set you can create your own totally unique customised designer look.